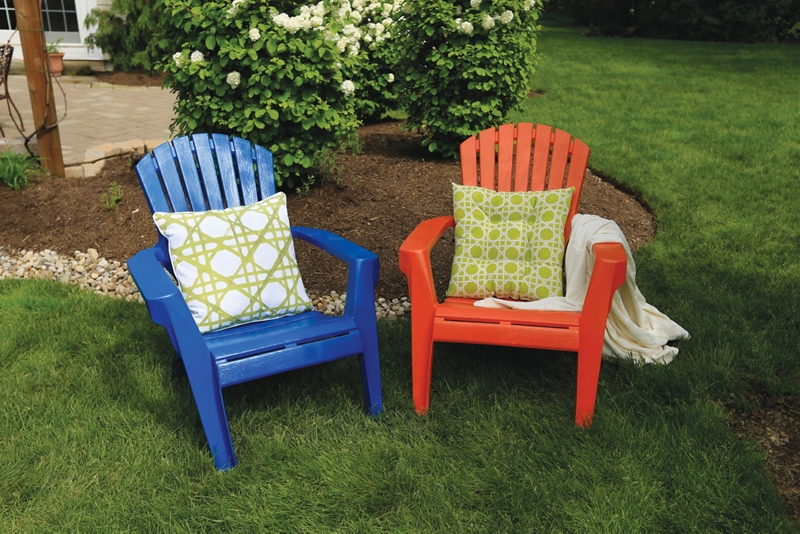 Customizing resin chairs with Krylon® Fusion All-In-One™ is a simple way to freshen or personalize your old chairs. Using an all purpose cleaner/degreaser, wipe down chairs to remove all dirt and grime. (If the plastic is new, wipe down with paint thinner for best results.) Rinse thoroughly with water and allow to dry. We painted one chair in Gloss Popsicle Orange and the other in Gloss True Blue. If you would prefer to create a pattern using both colors on a chair, use painters tape to mask off your design.